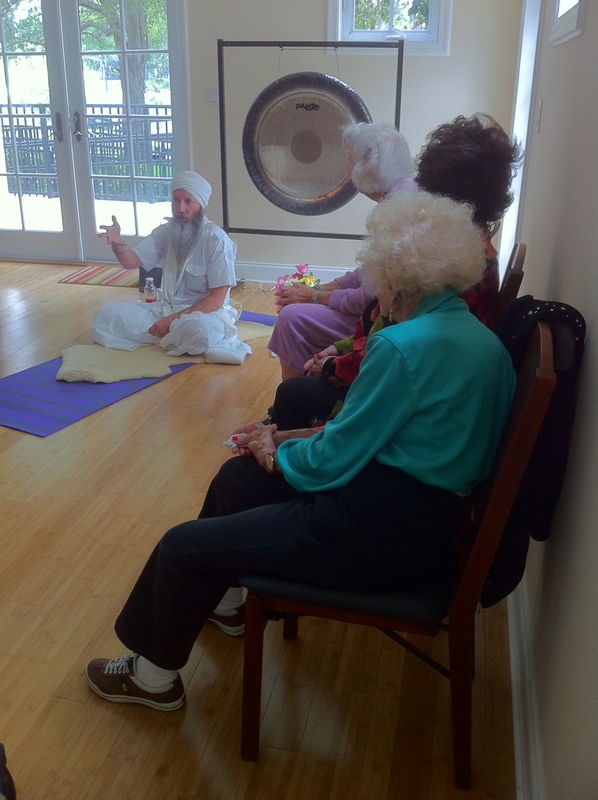 Bay Oaks residents welcomed friend, volunteer and certified Kundalini teacher, Bahadur Singh Khalsa aka Richard Roberts, on Saturday for a special introductory lesson in this unique yoga practice. Some residents used mats, others sat in chairs. 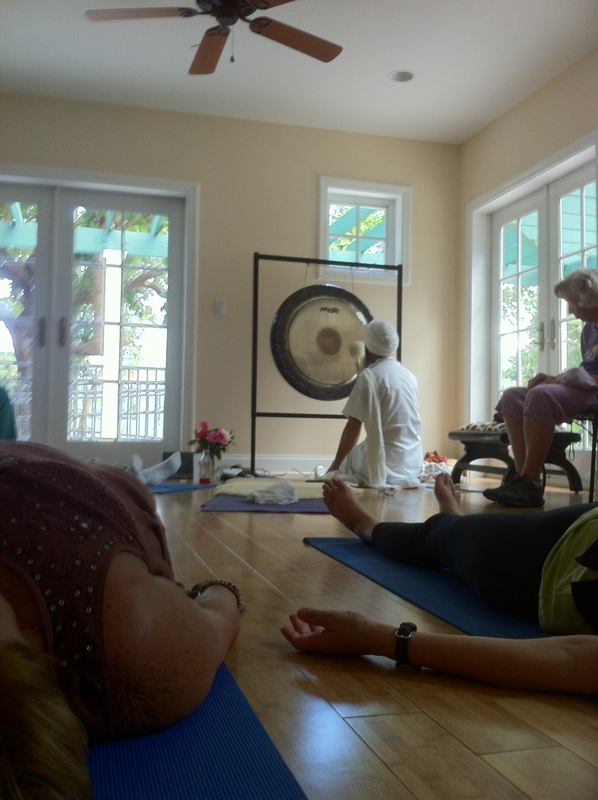 The residents were genuinely interested in the history of yoga, the differences between Kundalini – also known as ‘the Yoga of Awareness’ and the Hatha variation that they typically practice during the week, and, of course, the importance of the gong. What is it? 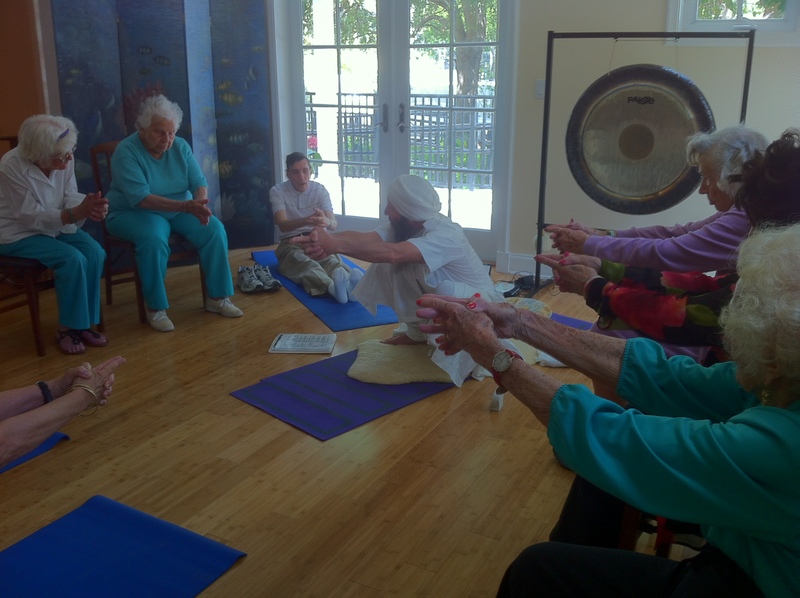 We learned ‘the breathe of fire’ and tried several poses and exercises before settling into 11 minutes of rhythmic gonging – an incredible experience. Thank you, Richard Roberts, for a wonderful afternoon. It was inspiring, energizing and fun. For more pictures from Saturday, please visit our facebook page.